Mikawa Bay is treasury of fish. Mehikari is fish, which lives in the depth of 200 meters to 300 meters, the official name Bigeyed greeneye, 15 – 20 centimeters long. Winter and spring is the best season for Mehikari. The landing of Mehikari in Gamagori occupied 95% of Aichi prefecture, one of the important local products. 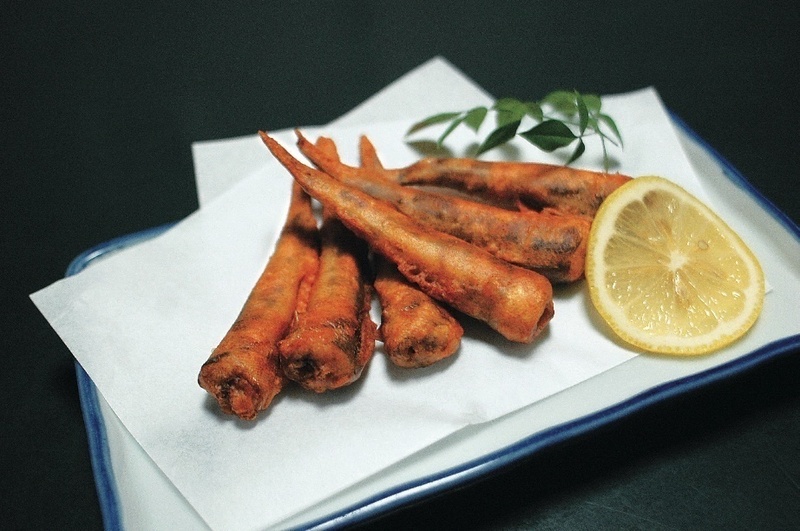 Deep-fried or dried Mehikari is superb!